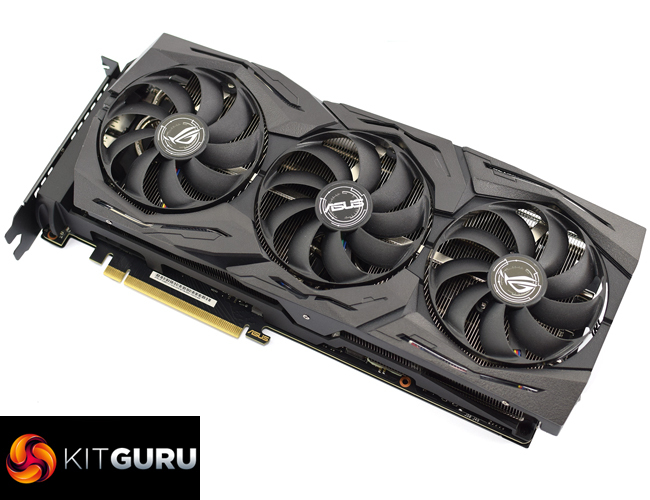 Home / Tech News / Featured Tech Reviews / ASUS ROG RTX 2080 Ti Strix OC (O11G) Review – £1,500 beast! 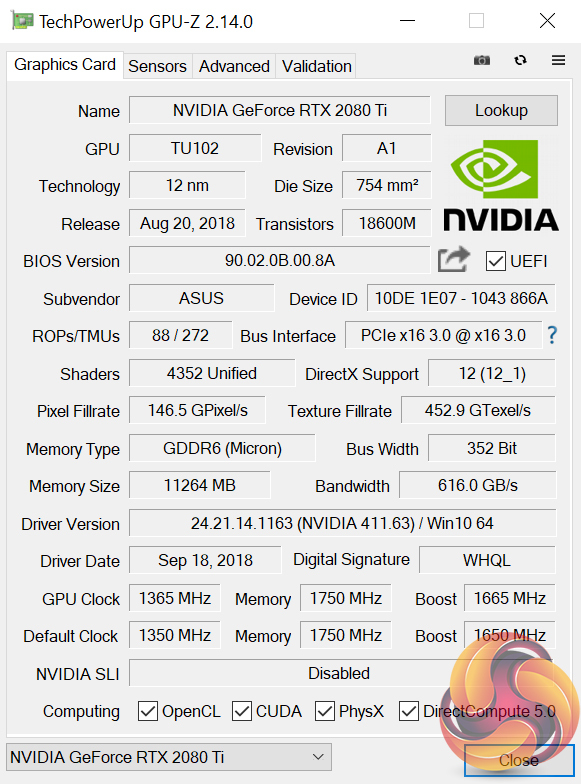 ASUS ROG RTX 2080 Ti Strix OC (O11G) Review – £1,500 beast! Having already analysed ASUS ROG’s RTX 2080 Strix model, today our attention turns to the company’s flagship RTX 2080 Ti offering. 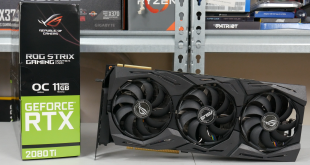 It’s overall a very similar card to the Strix RTX 2080, but with all the power of the RTX 2080 Ti, it promises to be an absolute beast. 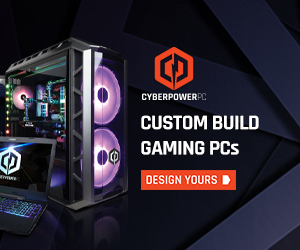 It definitely has a price tag to match, however, as this card comes in at an eye-watering £1499.99, making it £400 more expensive that Nvidia’s own Founders Edition 2080 Ti., could it possibly be worth it? Given that the RTX 2080 Ti Strix OC (O11G) is ASUS ROG’s flagship card, it is no surprise to see that it ships packed to the gills with features. 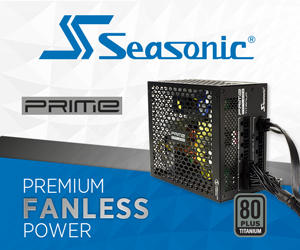 If you have read our review of the Strix 2080, many of these features will be familiar to you – but to pick out some of the highlights, there is dual-BIOS functionality, an on-board Aura RGB header, completely redesigned fans and a factory overclocked GPU as well. Even then, asking £400 more than Nvidia’s Founders Edition is certainly brave to say the least, so we will have to see if this card is worth it. £1,500 is a lot of money. 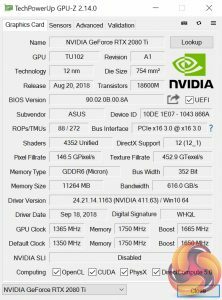 Being an RTX 2080 Ti, the Strix OC model we are looking at today shares all its core specs with every other 2080 Ti on the market. That means 4352 CUDA cores, 544 Tensor cores and 68 RT cores, while the 11GB of GDDR6 memory operates over a 352-bit bus, with a total bandwidth of 616GB/s. 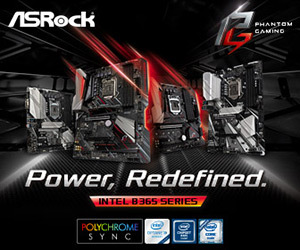 What this ROG Strix card changes compared to Nvidia’s Founders Edition card, however, is clock speed. 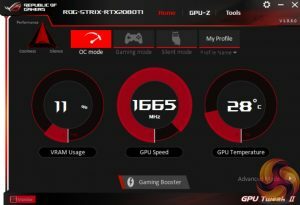 Out of the box, the Strix runs at 1650MHz – 15MHz faster than Founders – but there is an OC mode within ASUS’ GPU Tweak II tool which adds an extra 15MHz on top, giving a rated boost clock of 1665MHz. 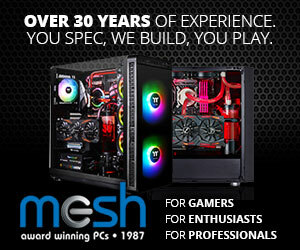 That makes the card 30MHz faster than Founders, but 120MHz faster than Nvidia’s reference design. 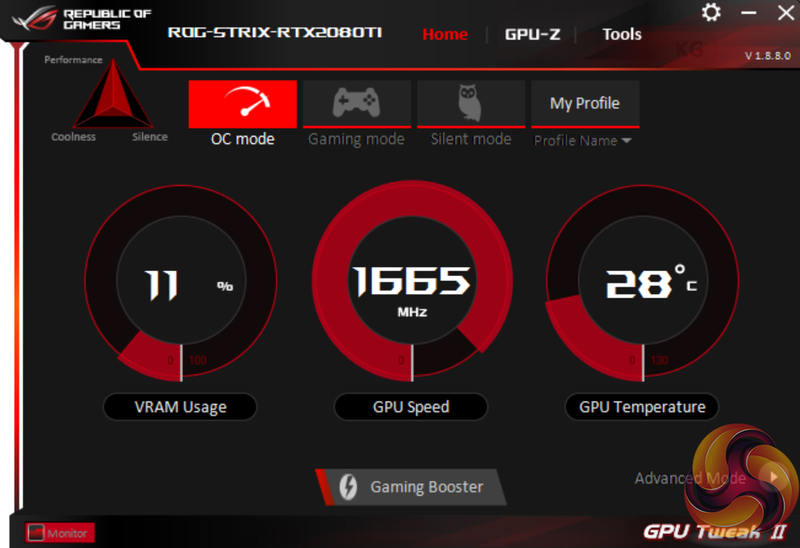 We did our testing with OC mode enabled to get the most from the card, though we also look at manual overclocking later.